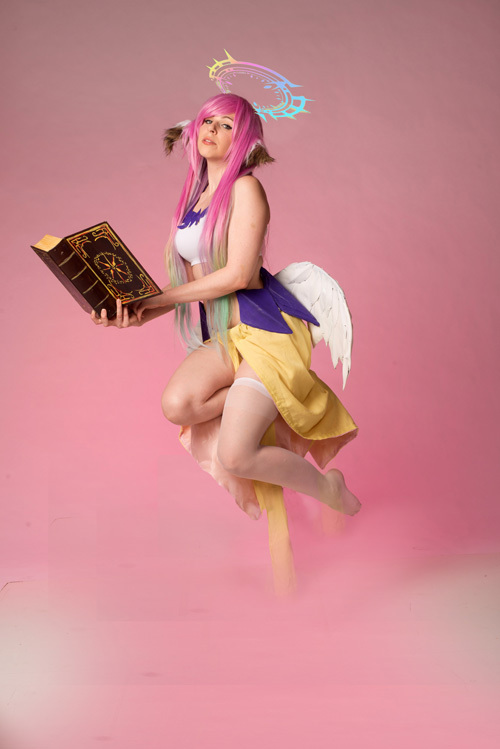 "I fixed up this cosplay a while ago and never got a chance to shoot until recently with Tim. Evie E helped me by painting the book and it turned out beautifully, she did such a good job!! I had another Halo made but I didn�t have it painted in time for the shoot so I just shopped this one in. I actually like they way it turned out and decided to go with the halo style that the original creator of the character made, not the one from the anime. I had a vote on my fanpage and the original was what people voted on most. 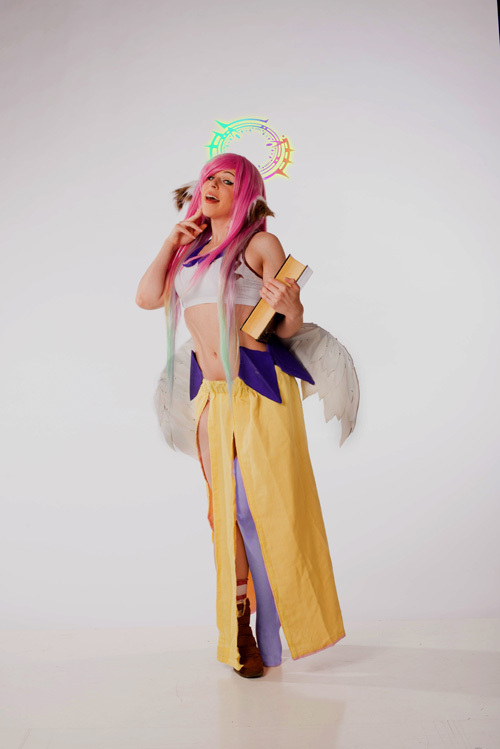 There is a lot missing still from this cosplay, it is a WIP but it�s still really beautiful and fun to wear! Hope you enjoy despite it�s flaws."